If a contemporary en-suite room and a stunning seaside location sounds like the ultimate dream, our Chesil House accommodation is a match made in heaven. We deliver accommodation for Bournemouth University to make sure you have a great experience here. Less than a 10-minute bus journey or short walk from the Talbot and Lansdowne Campuses, we’re in a prime location. Surrounded by cultural delights, chic restaurants and almost next door to the supermarket and train station, you’ll thrive in this fun town. 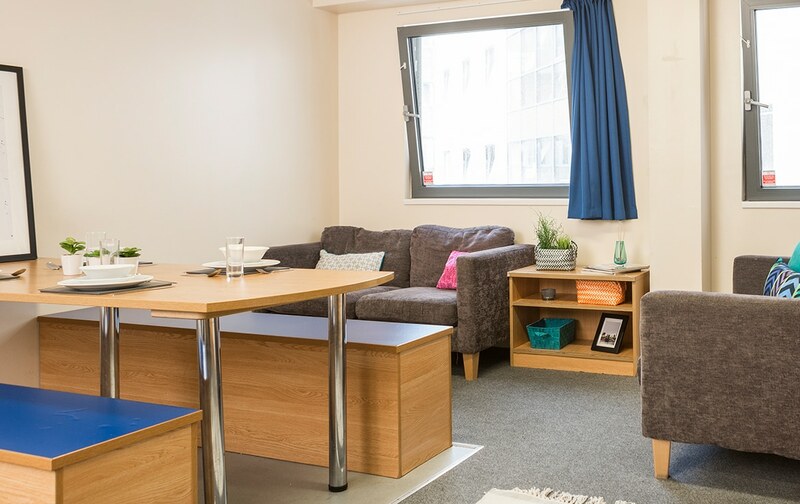 Discover our standard student rooms at Chesil House in Bournemouth. All-inclusive bills, en-suite bathroom & a handy study desk - what more could you need? Find your independence in one of our en-suite Studio rooms in Bournemouth, with your own kitchen and handy study desk. Book today! What types of accommodation are available in Bournemouth? Our Bournemouth property has two room types to suit all budgets. Whether you want the sweet taste of independence in your own Studio, or cooking with flatmates in a communal kitchen sounds like fun, there’s something for everyone. Whichever choice you make, we’ll provide you with your own bathroom, plenty of storage space and a comfortable single bed so you can power nap whenever you need an energy boost between lectures. 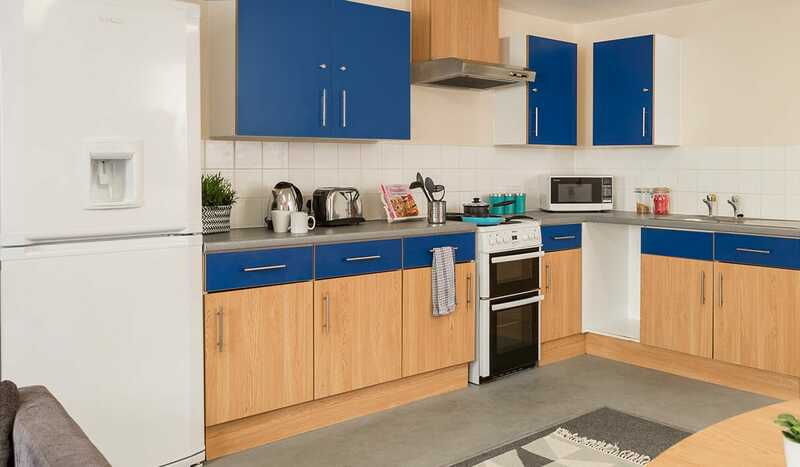 Standard En-Suite rooms have a shared kitchen and living area, so you can decide between cooking for your flatmate family and hosting pre-drinks! If you prefer your own company, our Studios are ideal for relaxing in, whether you want to get some serious studying done or practise singing your favourite Whitney Houston song. When you feel like socialising, you can be the host of Netflix night with your new course mates or get to know the rest of the Chesil House crew at one of the many events run by your ResLifeBU team. We understand that the last thing students want to worry about is budgeting for water, electricity and internet every month. That’s why our rooms are all-inclusive, to give you freedom without too much responsibility. Our parcel service and on-site laundry room are also here to make your student life as easy as possible, and with 24-hour security/support and contents insurance, you’ll have peace of mind all the time. Whether you’re exploring quirky pubs, belly laughing at a comedy club or taking a leisurely walk along the UK’s best beach, you’ll never be left twiddling your thumbs.